Scary Movie was released in July 2000, on the heels of the slasher resurgence instigated by Scream. While many of the jokes sprang from the Scream franchise and I Know What You Did Last Summer, the script also took on other pop hits like The Matrix and The Usual Suspects. The film was shot primarily in British Columbia, Canada. You can also read about this in my article for Horror’s Hallowed Grounds in HorrorHound Magazine. Although online sources cite a different location, the actual exteriors of the school were shot at Victoria High at 1260 Grant Street in Victoria. The Scream-inspired fountain was created specifically for the production and built in front of the school. 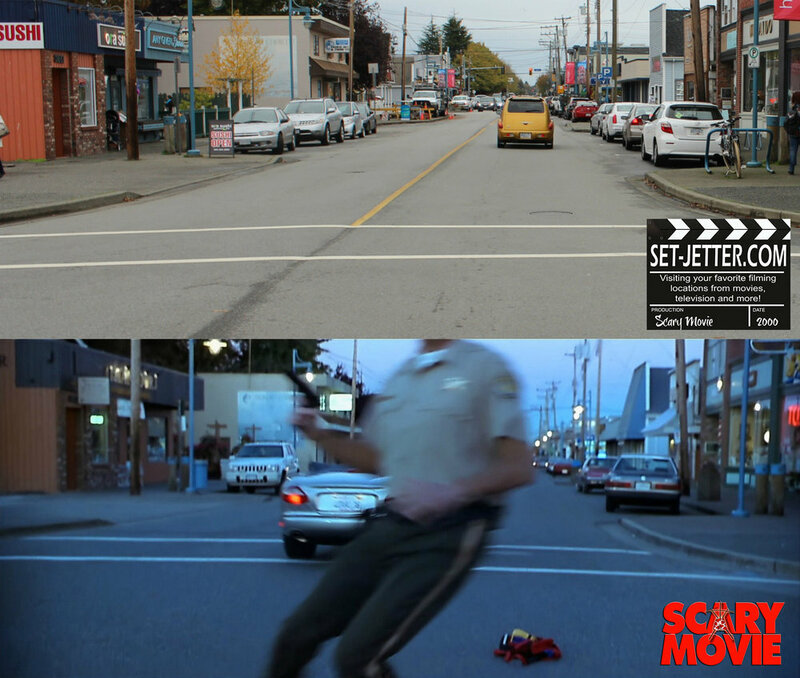 For set-jetters, the school is a mile away from the Le Café 180 location from the last scene in Final Destination. The dock where they get rid of the body was shot at the Gulf of Georgia Cannery at 12138 Fourth Avenue in Richmond, British Columbia. Just down the street is the location for the sheriff’s department, located at 3580 Moncton Street in Richmond. Across the street from that spot is the exterior for the movie theatre, located at 3551 Moncton Street. Who knew that Brenda’s behavior is sadly now the norm is most theaters! 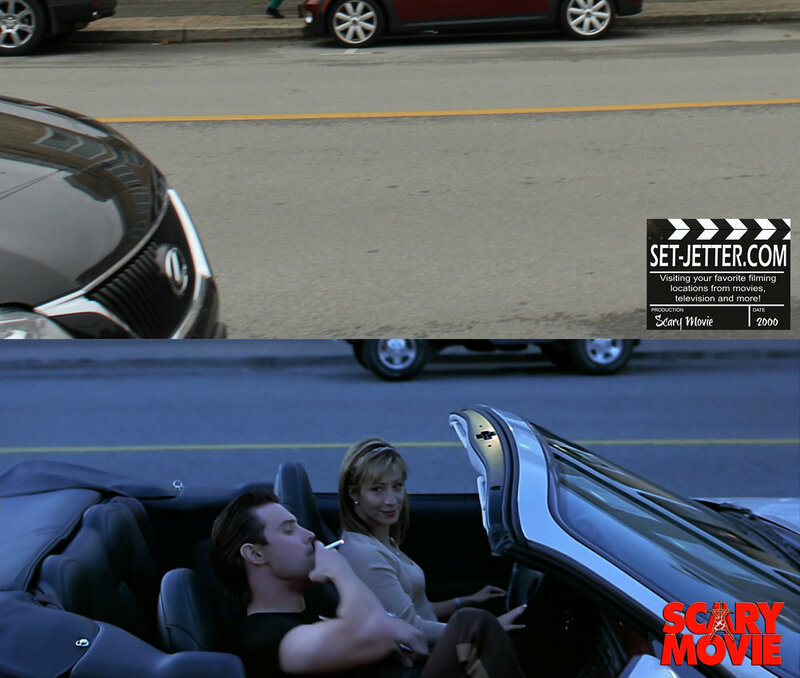 Also on Moncton Street is the scene where Doofy is revealed to be the mastermind behind it all, as well as the final shots of the film. 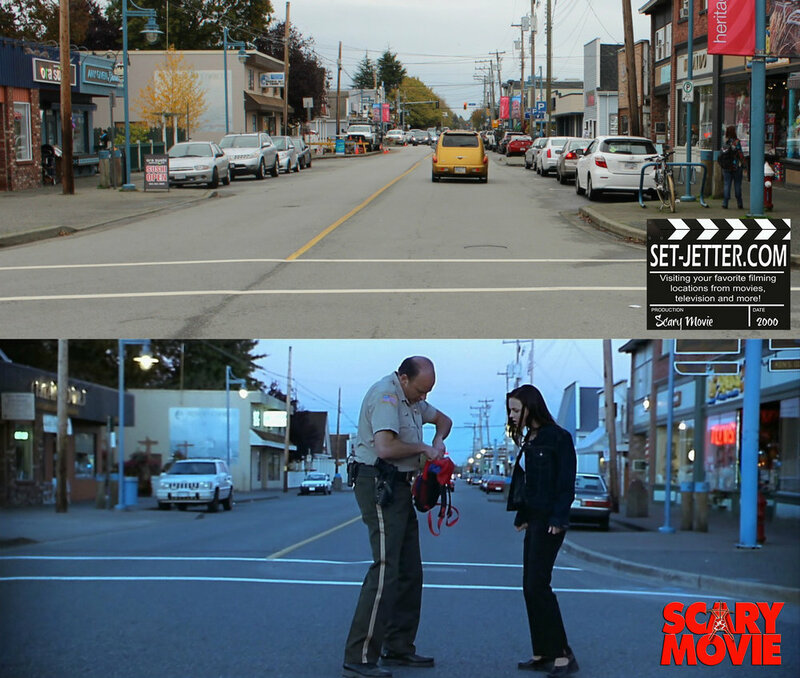 For set-jetters, several scenes from the Bates Motel series were shot on these same blocks in Richmond.